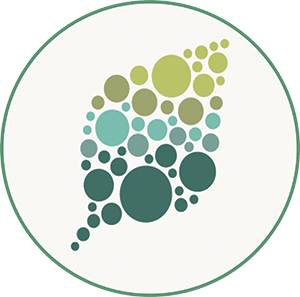 On February 1st, Plant Physiology published an article from the Center for Excellence in Plant and Microbiology at the Institute of Plant and Plant Ecology, Institute of Plant Physiology and Ecology, Chinese Academy of Sciences and the Chinese Academy of Sciences. Microbial Sciences; CEPAMS). 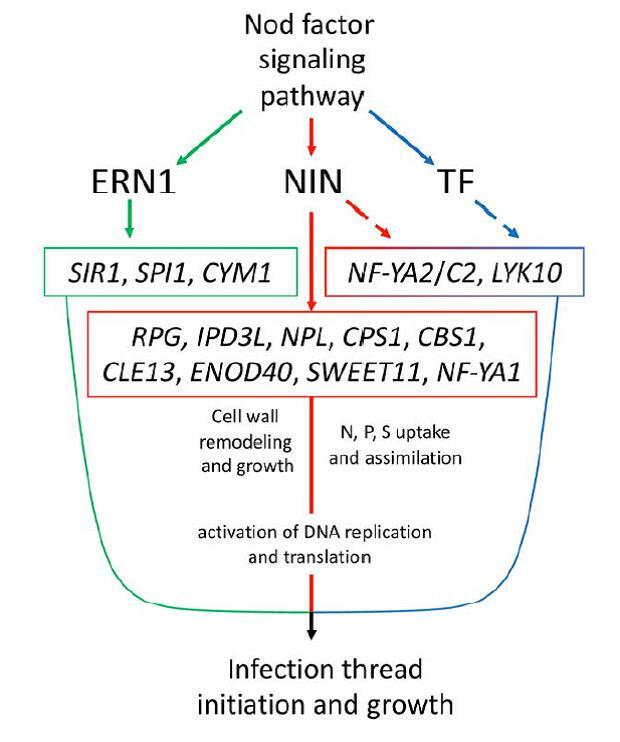 The research paper by Jeremy Murray’s research group entitled NIN acts as a Network Hub Controlling a Growth Module Required for Rhizobial Infection, which reveals the key role of the transcription factor NIN in rhizobial infection. The research on the nodulation and nitrogen fixation of legumes is of great significance for the development of sustainable agricultural production. Therefore, the mechanism of rhizosphere nitrogen-fixing bacteria successfully entering legumes and initiating the establishment of a mutually beneficial symbiotic organ-nodule is an important basic biological problem. A large number of molecular genetic studies have identified some key factors necessary for nodulation, including the transcription factor NIN (Nodule Inception), but its regulatory mechanism has long been pending. In recent years, the Jeremy Murray team has analyzed the root hair transcriptome analysis (Breakspear et al., 2014; Plant Cell) to reveal that the Rhizobium infected cells exhibit active polar growth characteristics, which are involved in cell wall modification and gibberellin biosynthesis, and the absorption and assimilation genes of important nutrients (nitrogen, phosphorus, potassium) required for growth are also induced to be highly expressed. In this paper, further analysis revealed that the expression of these growth elements in infected cells was regulated by NIN, indicating that NIN is a member of the NLPs family (NIN-Like Proteins, NLPs) and has similar gene regulatory functions of other NLPs family members. This reveals the important role of NIN in nodule formation and evolution. In addition, the expression of NIN also affects the biosynthesis and signal transduction of jasmonic acid, revealing the defense regulation of NIN against Rhizobium invasion. 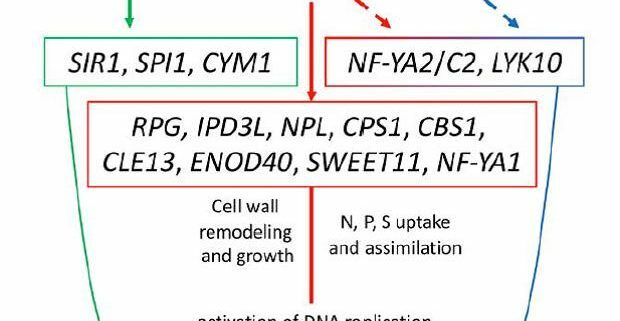 At the same time, the expression of NIN also activates the nodulation key transcription factor NF-YA1 and its regulatory network, making it a central regulatory hub for rhizobial infection.